- As we wrote about yesterday, u-pick season is in full swing at Bee Tree Berry Farm, located near Zion. Currently, red raspberries are the stars in season, but they also sell a variety of other local produce. - Impress your friends at your next garden party by learning “bites on boards”, a new rustic and stylish way of serving and eating. 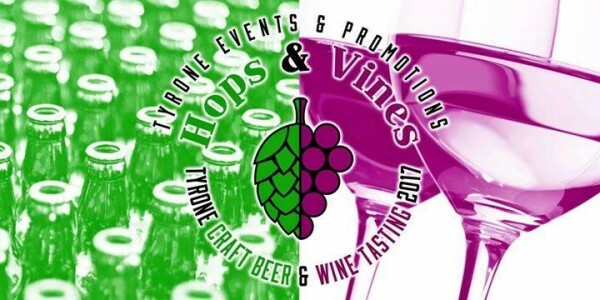 Tait Farm will be sharing intriguing recipes and ideas for beautiful presentations, perfect for summer entertaining, Saturday at the farm from 2:00 to 4:00 p.m.
- If you love beer and wine, then Tyrone is the place to be for the Tyrone Hops Vines Craft Beer and Wine Tasting on Saturday from 2:00 p.m. to 5:00 p.m. in downtown Tyrone. Along with local beer and wine tastings, you can find food vendors and live entertainment at this fun community event. - Attention gardeners! The Penn State Student Farm and the Lemont Barn are teaming up to host a Tools and Techniques home gardening workshop on Sunday from 2:00 p.m.–4:00 p.m. at the Student Farm at Penn State, located at the intersection of Big Hollow and Fox Hollow roads. Guests are reminded to wear sturdy shoes and bring water and sunscreen.